Surveillance is one aspect of a security system, but what's the point of having everything recorded if there's no way to alert authorities in case of an emergency? Attempted break-ins rarely occur when employees are on site and able to contact the police. A security system is the presence when you're away and the eyes in the back of your head for the protection of your business. Security monitoring has to be done by someone who understands exactly what's at stake. Southwest Security understands there isn't just one angle to take when it comes to protecting what matters most. There are multiple aspects and we cover them all. Alarm system monitoring allows you to leave your business without needing someone scheduled around the clock to watch the grounds. Entry alarms, fire and smoke detectors and motion sensors can all be combined in order to create a security network that will keep your business safe from criminal activity or accident. With the on-site complimentary evaluation of your business when you contact Southwest Security, we can help you find the level of coverage that suits your desires. When you have security monitoring installed by Southwest Security, the alarms will be wirelessly connected to an alarm response center. 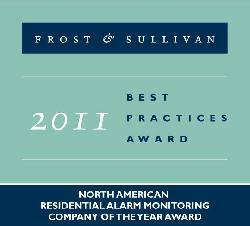 Ours holds a Five Diamond Certification from the Central Station Alarm Association. Our operators are all certified by the CSAA after 96 hours of classroom training and 8 weeks of supervised practical experience. Monitoring is crucial to your security system as it allows our licensed operators to evaluate the alarm and contact the proper emergency services within minutes. There are no business hours for our monitoring station: Your business is vulnerable at any time of the day or night, so our monitoring is 24/7. When one of your alarms registers a wireless signal to our Alarm Response Center, there is always someone available to read the data and take appropriate action. Alarm system monitoring gives immediate information for rapid response. Your business is what your livelihood depends on; you don't want to take risks when it comes to something you've invested so heavily in. Southwest Security takes the responsibility of providing you with the means to protect what matters most. Give us a call today to learn more about our security solutions. Contact Southwest Security at (505) 440-9025 to get your business the grade of protection it deserves!